Montorio is ideal for those who are looking for an independent living accommodation with a sense of intimacy and privacy. We are a self-catering holiday house and not a hotel or a Bed and Breakfast, we try to offer many services and personal assistance in the management of the holiday, but we do not have a front desk on site or is there a restaurant for any meals. 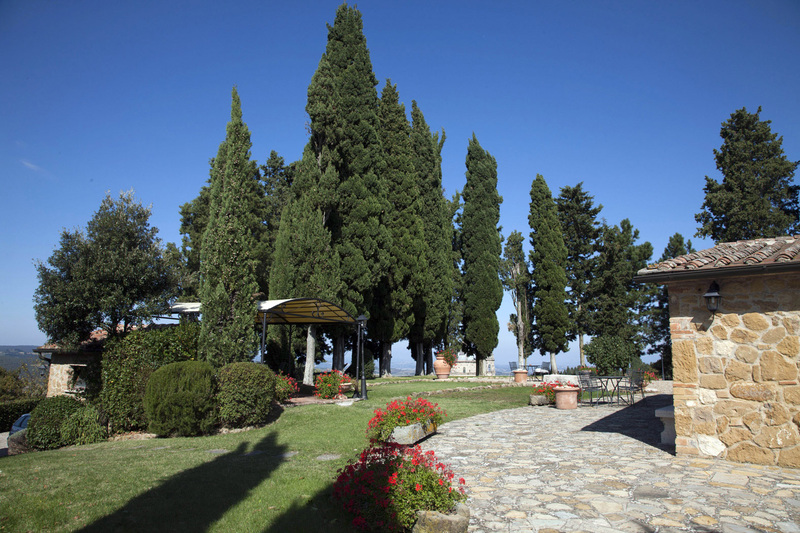 We will meet you upon your arrival, making your introduction to your stay in Tuscany relaxed and worry-free! Your check-in will be complete with all the necessary information regarding the villa, the surroundings, the weekly calendar of events, maps and brochures and answers to all the questions you may have. If you would like help planning day trips, have directions, get suggestions on how to find places "off the beaten track", interesting activities or just places to go and see, I, Stefania will be happy to assist you with all your needs. She will help you with reservations for a restaurant, museums, wine tours and special events. I come to Montorio every afternoon to see that all is well and to offer my guests any assistance they may need. For the length of your stay I am only an e-mail or telephone call away.